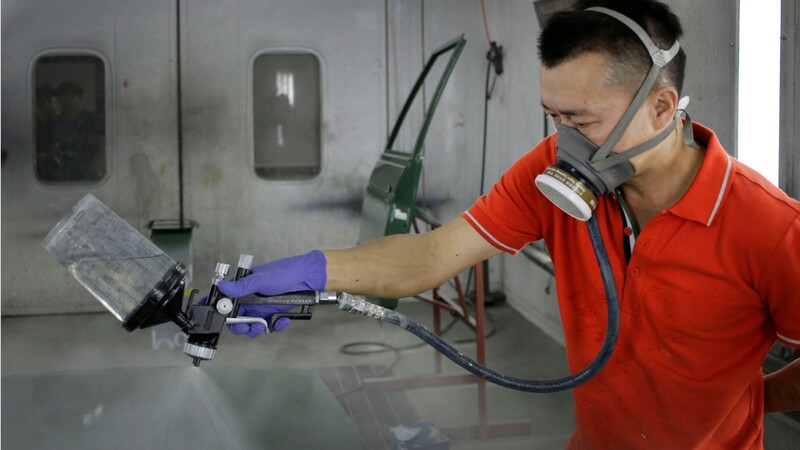 From candy-apple hot rods to glossy paper, and weatherproof furniture painting and coating workers use machines to paint and coat a wide range of items to enhance their beauty and protect surfaces. These workers prepare a surface by sanding or cleaning it, then cover portions of the product to direct the paint, varnish, rustproofing, or other coating. Painting and coating workers use different techniques dipping items in vats of paint, spraying products with coatings, or using automated painting systems. Some create mirrors by spraying metallic solutions onto glass. Proper coating and an even finish are always the goal, so workers carefully monitor their progress, making adjustments when needed. At the end of any project, cleaning equipment and work areas is essential. Transportation equipment painters specialize; most work in car repair and paint shops. They mix paints to match colors, and may paint intricate, detailed custom jobs. Some paint huge ships and construction equipment, and touch up damaged paint surfaces. Most painting and coating workers are employed full time, and may work overtime when business is brisk. They often stand for long periods and even working in ventilated areas may wear masks or respirators that cover their nose and mouth. Skills are generally learned on the job after earning a high school education. See more details at O*NET OnLine about painters, transportation equipment. Painters, Transportation Equipment by U.S. Department of Labor, Employment and Training Administration is licensed under a Creative Commons Attribution 4.0 International License.